So sugar is back in the spotlight again. More specifically, high fructose corn syrup is in the cross-hairs. This ubiquitous food additive bears little resemblance to corn, or any vegetable, and is now causing widespread stupidity in laboratory rats. Dr. Fernando Gomez-Pinilla, of UCLA has released the results of his research on the effect of high fructose corn syrup on rat brain function. This is relevant because high fructose corn syrup is found in everything from soft drinks to potato chips. The average American eats about 35 pounds of the stuff every year, which may explain reality television. Dr. Gomez-Pinilla, in his paper published in the Journal of Physiology, reports that a diet high in high fructose corn syrup can cause long term problems with the brain’s ability to learn and remember new information. In fact, the diminished brain function began within six weeks. 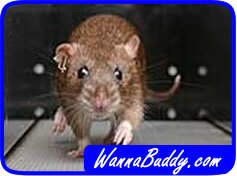 It is tough to get a rat to take a college entrance exam, so they used mazes to test their intelligence. The rats were divided into two groups. Both groups were trained to navigate the maze, following visual clues. One group was fed a diet of high fructose corn syrup and omega-3 fatty acids. The other group was fed high fructose corn syrup but no omega-3 fatty acids. After six weeks, the rats were timed as they made their way through the maze again. 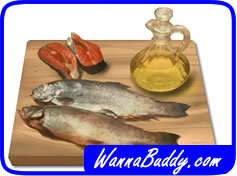 The group that received omega-3 fatty acids performed much better than the rats that did not. This was a real triumph for fatty acids! Dr. Gomez-Pinilla theorizes that the high fructose corn syrup caused insulin resistance in the rats, which hurts the brain cells. He believes that insulin plays a critical role in memory and learning. The omega-3 fatty acids seem to protect the brain from this insulin resistance damage, allowing the rats to retain their understanding of their maze clues. So what does this mean for us humans? Certainly living our lives without high fructose corn syrup would be nice, but hardly practical for most of us. This is yet another reason to eat foods rich in omega-3 fatty acids, like fish. Failing that, there are many multivitamins that contain an ample dose of omega-3s to get you through your daily maze! It is just one of many harmful effects of high fructose corn syrup. If you really care for your health, you should avoid foods with fructose in the label.